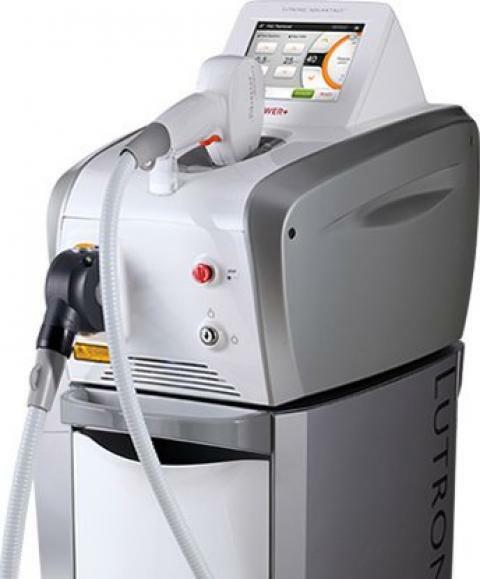 LUTRONIC ADVANTAGE POWER+ is a re-engineered, high energy pulsed diode laser system for hair removal and permanent hair reduction. This is the first laser system to integrate adjustable pulse width control with a large spot chilled compression tip. Built with speed, efficacy and comfort as the foundation, the LUTRONIC ADVANTAGE POWER+ is the cost-effective choice for a dependable laser hair removal system. Your clinicians will appreciate the treatment speed of the ADVANTAGE POWER+ system. Using a large spot size at a high repetition rate ensures rapid treatments. The ADVANTAGE POWER+ is up to 40% faster than other systems on the market and can still deliver the promise of high efficacy. This enables your staff to complete treatment regimens quickly and efficiently. ADVANTAGE POWER+ offers best-in-class hair removal efficacy, while providing speed needed to ensure profitable patient throughput. ADVANTAGE POWER+ ensures that your hair removal business will become profitable again.